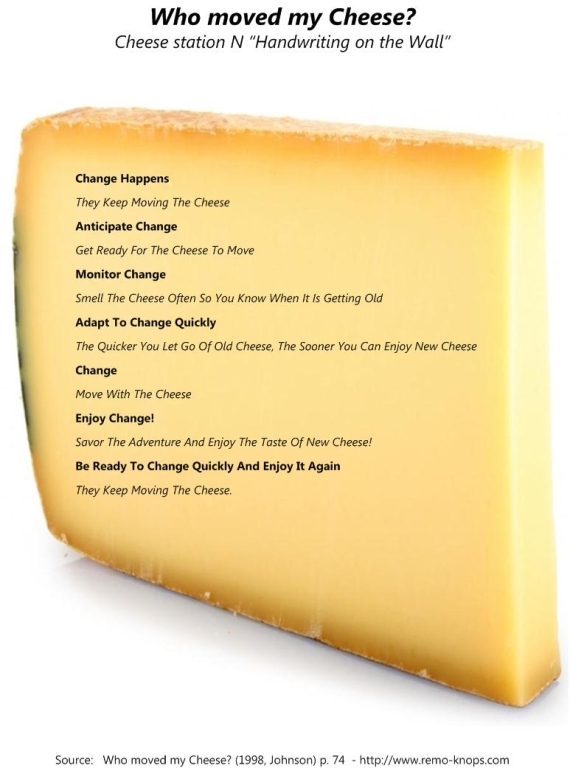 In this article I will review the book “Who moved my Cheese?” – An amazing way to deal with change in your work and in your life. It is one of the most succesful business books ever and written by Spencer Johnson co-author of The One Minute Manager ~ (Blanchard & Johnson, 1983) and The One Minute Sales Person ~ (Johnson & Wilson, 1984). The Who moved my Cheese story features four imaginary characters. Sniff and Scurry are mice, which represent the simple part of us. 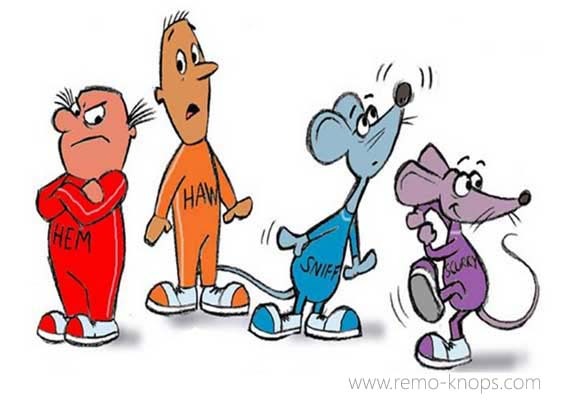 Hem and Haw are little people with complex brains that represent the complex rationale part of us. How these different parts of us collaborate or not makes us unique human beings. Cheese, maze as well as the four characters are well chosen metaphors. It is not only easy to picture them, but it is very easy to remember the story line, rethink and map the metaphors on situations in your personal or work-life. Sniff and scurry used an experimental method of finding cheese (simply put by trial and error), while Hem and Haw used their ability to think and learn from past experiences to find cheese. However it didn’t take long before the four characters found cheese in the corridor of cheese station C.
Based on the success of finding a large storage of cheese, the little people and the mice developed their own routines. Hem and Haw knew were the cheese was. The little people felt happy, successful and “thought they were now secure”, moved their homes close to cheese station C and built a social life around it. After a while Hem and Haw’s confidence of finding the cheese grew into arrogance of success, while in comparison Sniff and Scurry used their simple daily trail and error routine for finding cheese. Hem and Haw became comfortable and didn’t notice the change. Each day the stock of cheese was getting smaller and smaller, until there was no cheese left. Sniff and scurry noticed the decline due to their simple but effective daily routine and simply moved on searching the maze for new cheese. Hem and Haw however were unprepared and Hem shouted “Who moved my cheese?” (p. 33). Because cheese is important to the little people (success) they spent a long time thinking, analyzing and trying to decide what to do. However the result was looking around cheese-less station C (day after day). Haw suggested “Maybe we should simply stop analyzing the situation so much and go find some new cheese?” However Hem held on to the current cheese (that made him successful) and didn’t want to change. While the little people were think and analyzing Sniff and Scurry used their simple routines and already found a new storage with cheese, cheese station N. Hem kept on asking “Who moved my cheese?”, while Haw questioned “Why didn’t I get up and move with the cheese sooner?” and starts with hand-writings on the wall. During Haw’s search in the maze he learned a lot about change and more importantly about himself and his behavior towards change. Haw leaves a significant number of handwritings with wisdom for Hem and eventually finds Cheese station N.
Haw gets reunited with Sniff and Scurry who are in cheese station N for some time. Cheese station N is the largest pile of cheese the characters have seen in their life (and Hem is still holding on to his cheese-less situation). The core essence of Who moved my cheese? can be summarized in the so called “Cheese station N Handwriting on the wall” which is represented below. A larger version in PDF-format can be downloaded, on the condition that you “Share it with others” ! The four characters are intended to represent the simple and complex parts of ourselves, regardless of our age, gender, race or nationality. The metaphors cheese and maze help you visualize a process of change. I think everyone is able to map the “Who moved my cheese?” story onto past situations in his personal- or work life. It makes you rethink situations or helps you adjusting your behavior, when you are in the middle of a change process. 🙂 The simplicity of the story makes it extremely powerful and useful. … and don’t forget to have a look at the other books of Spencer Johnson: The One Minute Manager ~ (Blanchard & Johnson, 1983) and The One Minute Sales Person ~ (Johnson & Wilson, 1984). “Spencer Johnson is known for his 1998 motivational book, titled Who Moved My Cheese? : An Amazing Way to Deal with Change in Your Work and in Your Life. It has stayed on the New York Times Bestseller list, and has remained on the Publishers Weekly Hardcover nonfiction list. Johnson received a B.A. 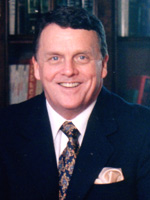 degree in psychology from the University of Southern California in 1963, and his M.D. from the Royal College of Surgeons in Ireland. Johnson also wrote the book “Yes” or “No”: The Guide to Better Decisions (1992), which has been translated into a number of languages including Spanish, Korean and German . He co-authored the One Minute Manager series of books with management writer Ken Blanchard. His latest book, which can make you happy and successful is The Present. Hey!, I found this information for you: "Who moved my cheese ? (Johnson) Book review". Here is the website link: https://www.remo-knops.com/3595/who-moved-my-cheese-book-review/. Thank you.